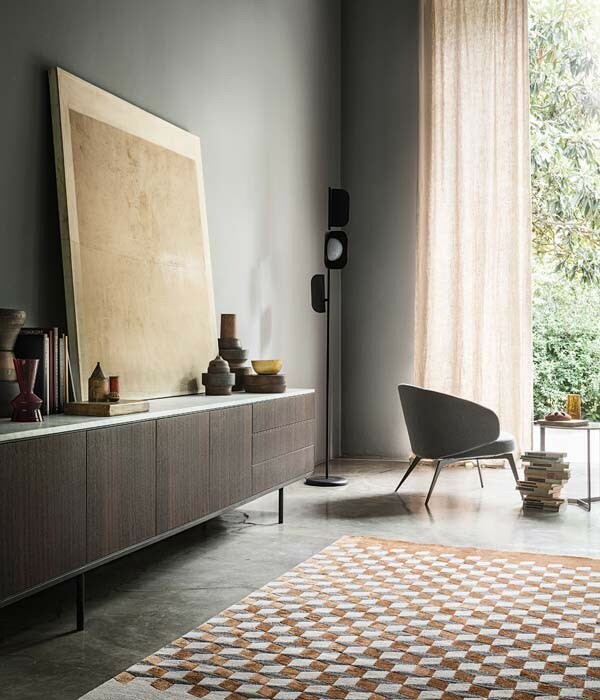 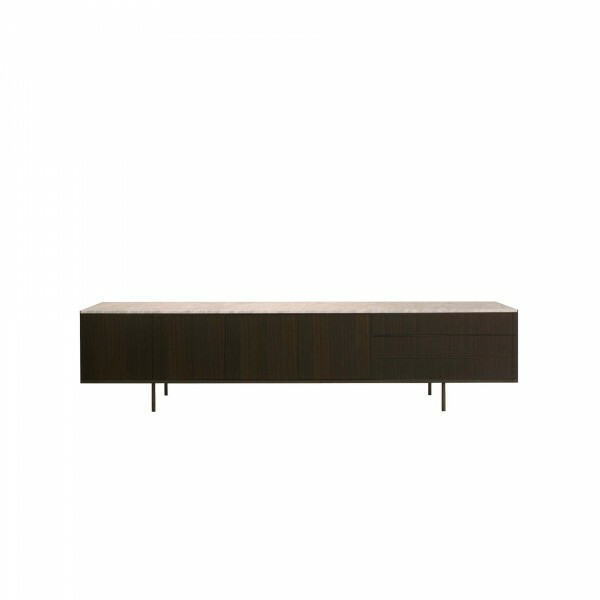 Precious materials for a linear unit, the real protagonist of the living room. 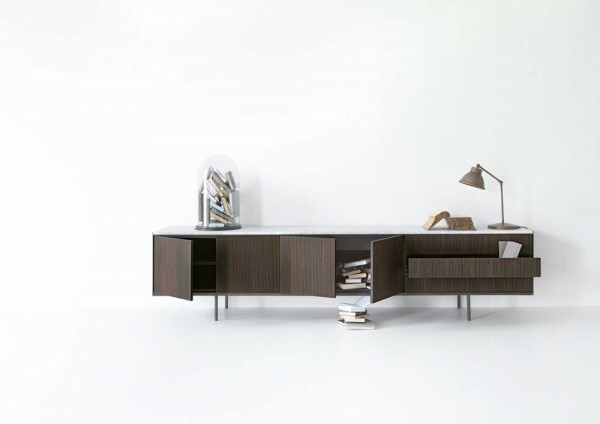 Long Island designed by Christophe Pillet is characterised by a rigorous volume standing out for the thickness changes, its specific weights, and warm matching between the different materials employed: metal, thermally-treated oak and marble. 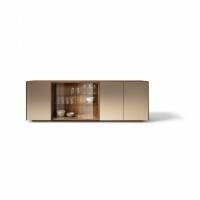 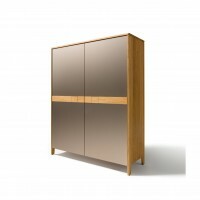 Different natural and man-made materials are the vibrating vital lymph of the project: the thermally-treated oak structure hosts drawers and doors framed by a glazed metal finished border, the marble top makes it luxury chic, the side panels in the glazed metal finish create unusual light effects. The parallelepiped compactness is supported by thin treated metal feet, raising the structure, protruding on the two sides.